AVCWare Free Video Converter - convert all video for free. Convert between multiple video formats like MP4, AVI, MKV, MPEG, WMV, FLV. No Adware or spyware, safe and clearly free. 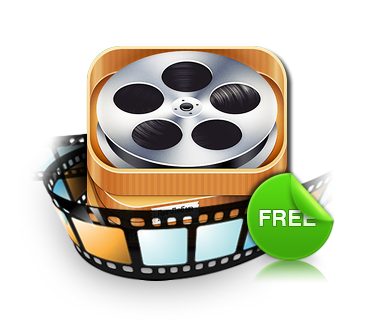 With AVCWare Free Video Converter, you can convert any video to make it playable on your iPad, iPod, iPhone, Apple TV, PSP, PS3, Xbox, Android and other digital multimedia devices for free. Various parameters are adjustable which helps you to make a high quality video. Besides, for a better video conversion experience, this Free Video Converter have been upgraded with ATI APP and NVIDIA CUDA technology offering improved video encoding/decoding performance (when processing High-definition videos in particular) for any computer running on CUDA-enabled GPU. Convert between multiple video formats, including most popular videos: AVI, MPEG, WMV, MP4, FLV, DivX, XviD, MOV, RM, RMVB, M4V, VOB, ASF, 3GP, 3G2, SWF, H.261, H.264, DV, DIF, MJPG, MJPEG, DVR-MS, NUT, QT, YUV, DAT, MPV, NSV and etc. Enabled with NVIDIA CUDA, more CPU resources can be spared for other applications, making your computer run much smoother. Compute the exact size of output file by Bitrate Calculator tool. You can play the video files in an independent media player and take video snapshot anytime during playing. Set the AVI/MKV/WMV/FLV/HD video converter to work in the background will spare more CPU resources for other applications. Convert multiple files simultaneously with multi-threading and batch processing. You can preset the program to auto exit, shut down, stand by, or hibernate your PC after a task is completed. Convert between multiple video/audio formats. Clip, Combine, Split video/audio file. Add Special Effects, support watermarks, subtitle,soundtrack. Convert DVD movie to multiple formats video. Add watermarks, subtitiles, soundtracks to videos, and do much more. It is powerful and free! Thank you! I have been trying out video converters/encoders for the last 4 hours. I was really set on Mediacoder then some how I found this one. Simple, clean, easy to use. It allows for automatic detection and use of original resolution along with device presets. Almost all of the others didn't do that. With this being so good, I just may purchase one of the other products because i want to support them.